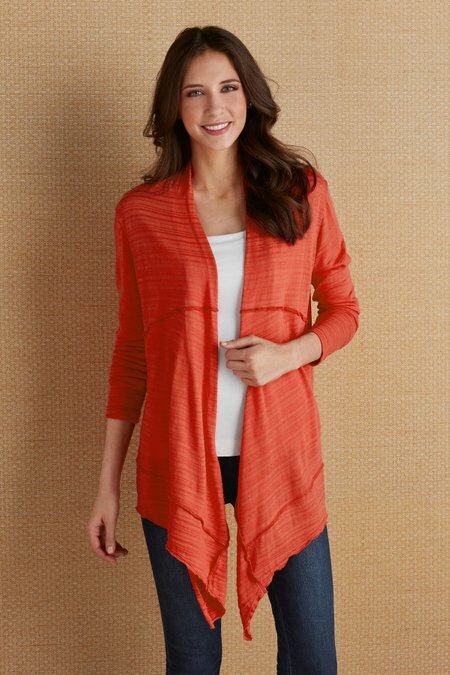 In vibrant coral or soothing blue, this flattering cardigan drapes like a dream in stretch jersey-knit. It features understated styling, with long sleeves and a high-low hem that points in the front, but the overall effect is anything but ordinary. Cotton/rayon. Misses 28"/37" long.